It has been a momentous week. My big girl, my Bella, has started school. 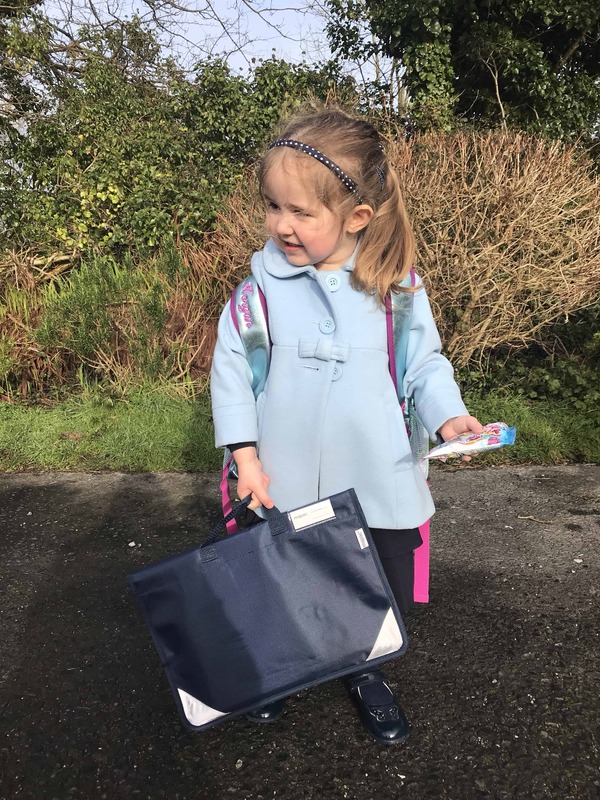 Having spent all of her life with me taking her brothers back and forth to school, she had much more of an idea about what school really is than they ever did at her age. Each day as we passed her new classroom, she would chat away “That’s my classroom, I’m going in there. I’m going to do painting and drawing and I’m going when I’m 3 and I’m going “by my own” and I’ll wear uniform and………..”. You get the picture. Every day that the boys went in to school “without her” she was upset. 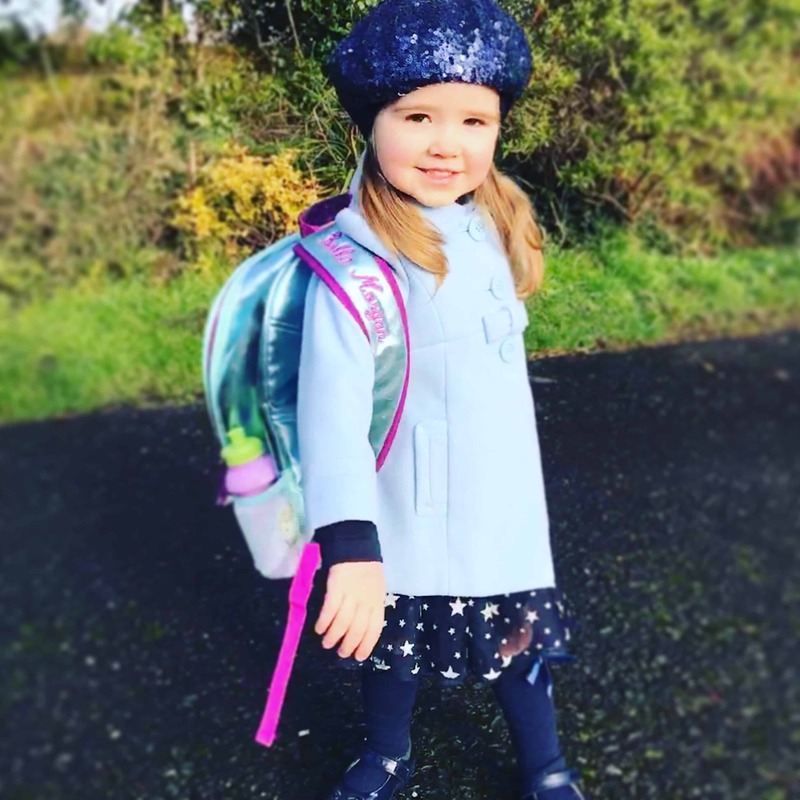 Last September when boys had their obligatory “back to school photo taken in front of the door”, she was so concerned that she was missing out, she insisted upon dressing up and having her own photo taken. After nearly a year of being absolutely desperate to start school, it was finally her turn. Although I had worried myself sick when the boys were due to start school, I had no concerns about Bella. She was far more grown up than the boys when they started. 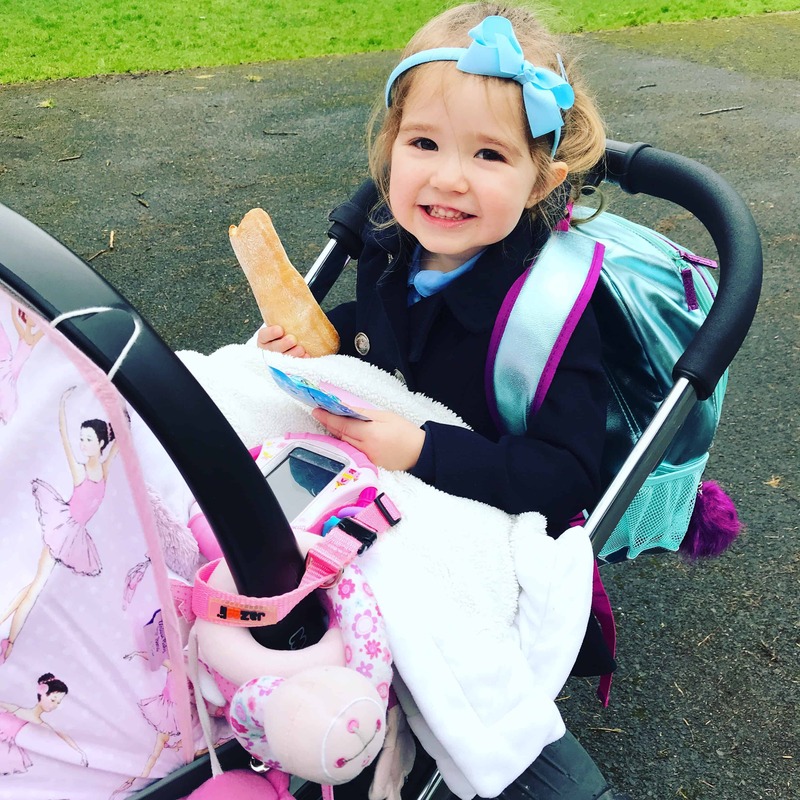 She was so familiar with the school from being there so much with her brothers and we had been to parent and toddler group in her new classroom to familiarise her with the room and the staff. I also felt far more comfortable this time around as I know the staff in the school so well. As the teachers have taught and been so wonderful with William, I felt that I was sending her in to the nurturing arms of family members. It’s a truly wonderful school full of amazing people, many of which Bella knows well, so all in all, I expected her to run in and not look back. 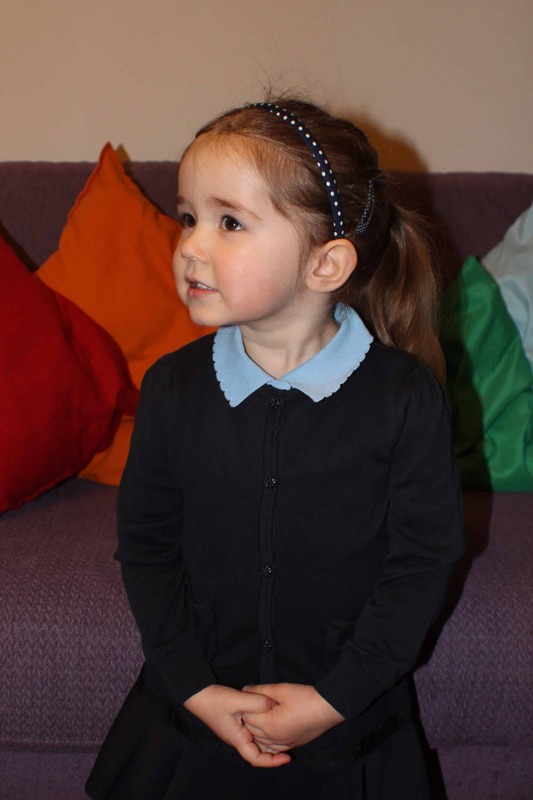 As Monday was what the children call an “insect day”, Bella started school for the first tike on Tuesday. 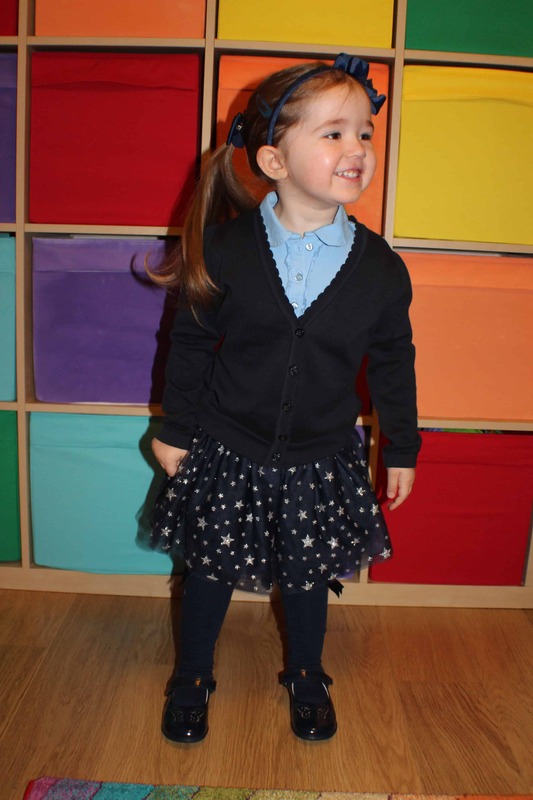 She was so excited when she woke up positively beaming in the morning and couldn’t wait for school. We went in, found her peg, then I kissed her goodbye. “Where are you going?” she asked, looking sort of panicked . Uh oh. I knew I had to get out of there quickly. I didn’t think for a second up until that point that she would be upset, but suddenly it looked like a real possibility. “Mummy is going home then I’ll be back to pick you up later. Don’t forget to tell me everything that you do in school!”. It was my very best “breezy” voice. I left quickly and took Will in to his class. On the way back to the car, I took a peep through the nursery classroom window, only to see her sitting on the teacher’s lap with her back to me, sobbing so much that her little shoulders were moving. One of the members of staff caught my eye and mouthed to me not to worry. So I did what I had to and left. I knew she would probably settle and be fine eventually, but I was a little in shock that she was upset at all. She had wanted to go to school and talked about nothing else for such a long time, that I just wasn’t expecting her to cry. She’s so grown up in so many ways, that I forget how young she really is. I had my fingers crossed that she would come out with a smile on her face. 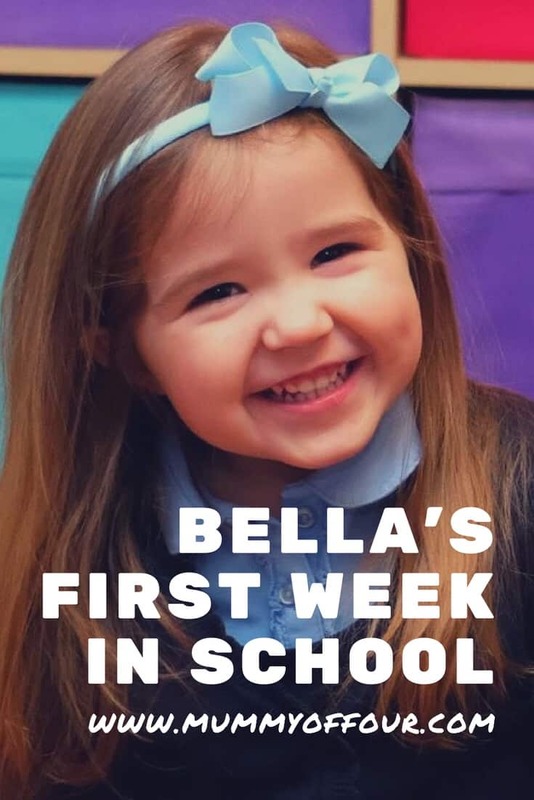 I was delighted that, in spite of being very tearful going in to school in the morning, Bella came out of class on her first day of school smiling. Her teacher said that she had been quite upset wanting me and had clung to her for quite a long time. Eventually she found her feet and really enjoyed herself. She came out clutching some lovely pictures that she had drawn and was very pleased with herself. I really hoped that she would go in happily on her second day. I had such high hopes for Bella’s second day in school. She was so excited to go. As we walked in, she even said “Come on Mum, we don’t want to be late for my class”. Then we walked in and she held my hand a little tighter and whispered “Mummy, I don’t want you to go”. As I did my very best attempt at bright and breezy once more, talking about what a lovely time she was going to have, the whisper managed to escalate to a wail. Eventually her teacher had to prise her arms from around my neck and carry me away for cuddles. Leaving was so hard got do, but I knew that staying was making the situation worse. So I left. 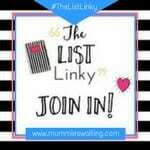 I felt sick with guilt and worry doing it, but I knew that staying was making it worse. Much to my relief, Bella came out of her second day very happy again. Apparently, having screamed the place down and having to be peeled off me at drop off, she stopped crying within 60 seconds of me leaving and had loads of fun. She even took her socks off and did gym, which involved lying down in the floor and pretending to sleep, or so she told me at least. I hoped that on day 3, she would skip the screaming abdabs and Mummy can have a morning free of feeling sick with worry. The school saga continued on day 3. She promised that she wasn’t going to cry. I even resorted to bribery and promised her one of those little ponies in a packet from the shop if she didn’t cry. She was excited to go in. It was icy when we got there, so I put her on the buggy board so that she didn’t slip (I figured that a fall to start the morning would not help with the crying problem). Her face fell as soon as we entered the classroom. She screamed blue murder and refused to get off said buggy board and manually removing her was proving difficult. 5 minutes later I had managed to prise her out from under the handle of the pram & hand her to the arms of her oh so patient teacher. Once again, I left feeling guilty and sick. At pick up, she bounced out, beaming. I hoped that, in the not too distant future, she would go in smiling too. 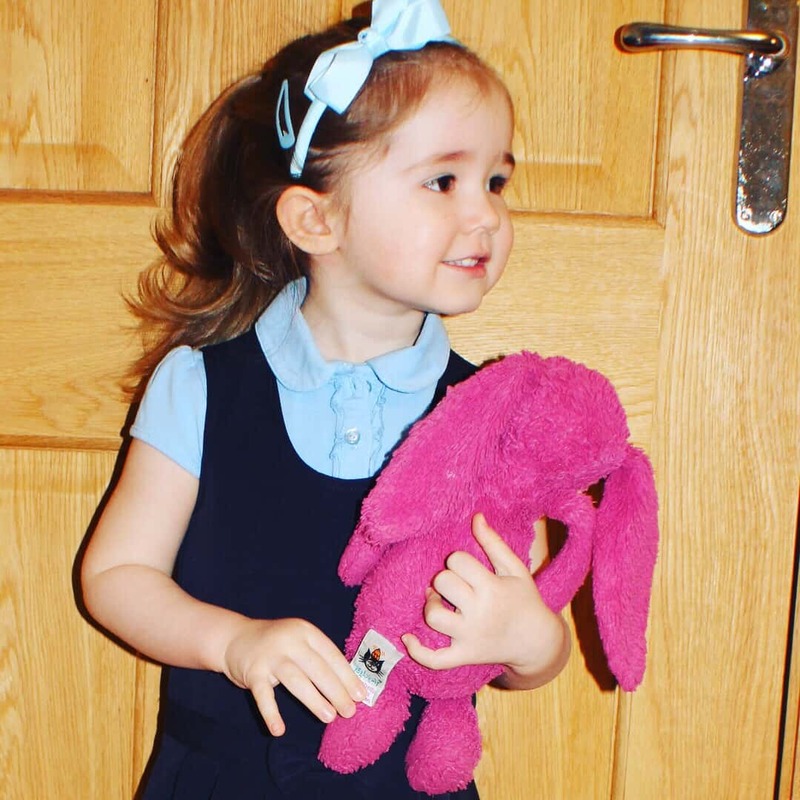 On the final day of Bella’s first week of school, she was so desperate to “win” the pony on the packet from the local shop that I had promised her as a treat on the first day that she went in without crying. She said she was going to be brave, then as soon as we entered the classroom, she just couldn’t hold it together. The teacher took her hand, then scooped her up as I walked away and she began to cry louder. Then, with a few gentle words of reassurance, she stopped. 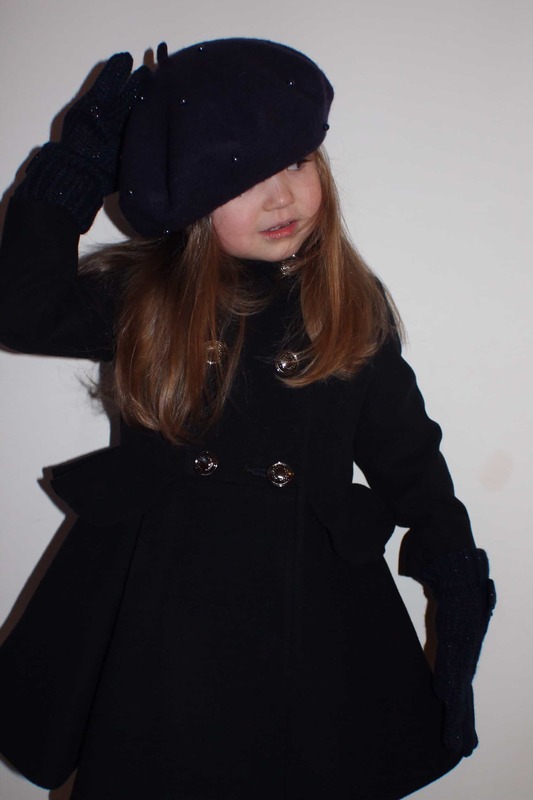 “Mummy” her teacher said to me, “look, she’s stopped crying before you have even left, I think she deserves the pony”. So Bella won her pony. We still have a little way to go until she is smiling on the way in to school, the same way she is when she comes out, but baby steps in the right direction were being made. 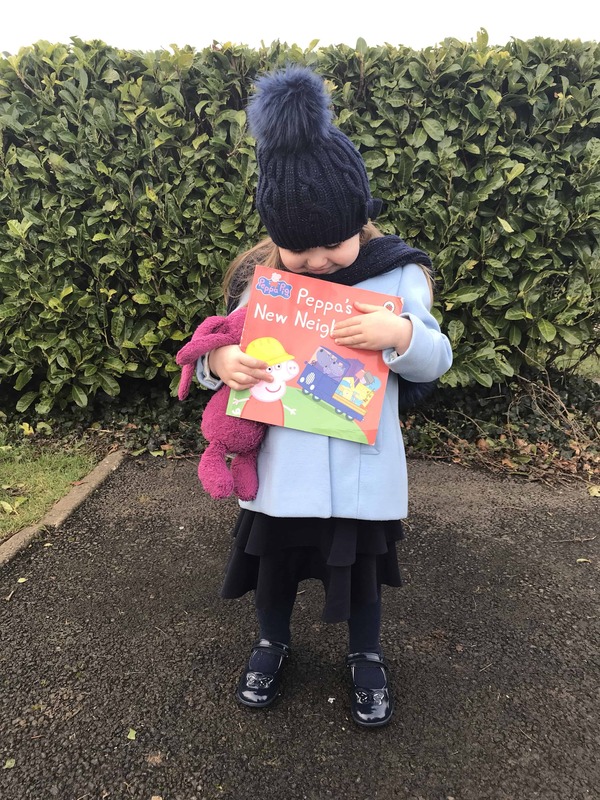 When we got home after her last session of her first week of school, she pulled a Peppa Pig book out of her bag and said “My teacher wasn’t looking, I took this book and hid it in my school bag. I stealed it. It’s ok, my teacher didn’t know”. Oh great, I thought, she’s only 4 days in and already turned into a kleptomaniac. When we went to pick the boys up from school, we went to find her teacher and explain what she had done. Luckily, her teacher was very understanding and commended her honesty in confessing her crime. I’m not sure if I am more concerned with her criminal potential or relieved that she feels at home enough in school to bring things home, so is maybe settling after all. So that was week 1. She had been so excited to start school, that it hadn’t occurred to be that she would be so upset. She has never been to any childcare and other than when I was in hospital having the baby, she has never been away from me, so I think that it has been more of a shock to her that I anticipated. I am sure that in a matter of weeks, she will be running in without giving it a second thought. She wants to go to school, she just wants me to go with her. For now, I will just have to give her time to adjust and hope that my beautiful Bella is happy and confident to go in to school very soon. How was you little one when they started “big school”? It is so tough leaving them like that, I would like to say it gets easier, but mine still give me grief at the school gate. I have spent so much time with them in school though and I know they are actually loving it. It’s is hard, isn’t it? Even though you know they are probably fine as soon as you leave.